Robert VanderMolen is a born storyteller. In his narrative poems, it is not uncommon for someone to lose a thread or to lose direction entirely: "I lost the progression / Of his tale in the heat, / Watching the dangling / Growth on the tip of his tongue, / Something out of a Hawthorne / Story, a slight worm / As in a mouth of an angler fish." Through his verse, we often seem to enter in the middle of a story — and we always want to know more: "A man and a woman in a rowboat / On a hazy day, drifting out where the island used to be, / Who would have guessed he would have snapped like that." VanderMolen says that he observes the world. And while this is no doubt true, it is equally true that he creates the world he portrays in his poems. He is like a guide to a world we know well but can't quite see. And we are grateful for the light — more flashlight than spotlight — that he shines on scenes we would never see without him. 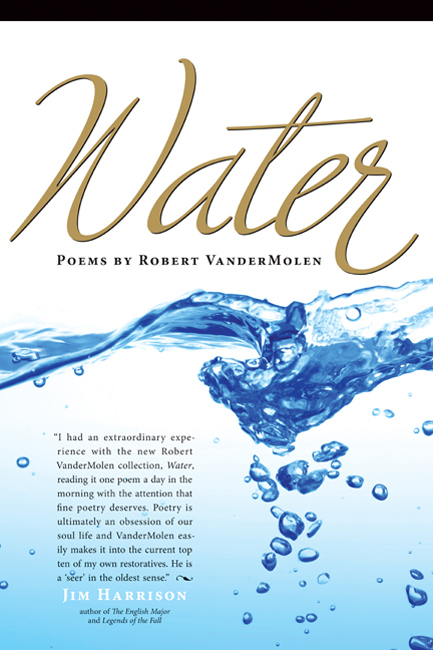 Robert VanderMolen has published many collections since his original Blood Ink, including Breath, Along the River, Circumstances, and The Invisible Lost Book of Ocean Fish.